Architecture was a main focus point for the MegaBoomBox sculptures. Comparing rituals and acoustic architecture found in European churches, architecture that, whilst working with an organ or choir they are able to produce notes beyond normal hearing, resulting in a more sublimely physical effect, with the similar phenomenon obtained in the contemporary, and often hand built architecture of Dub sound systems. 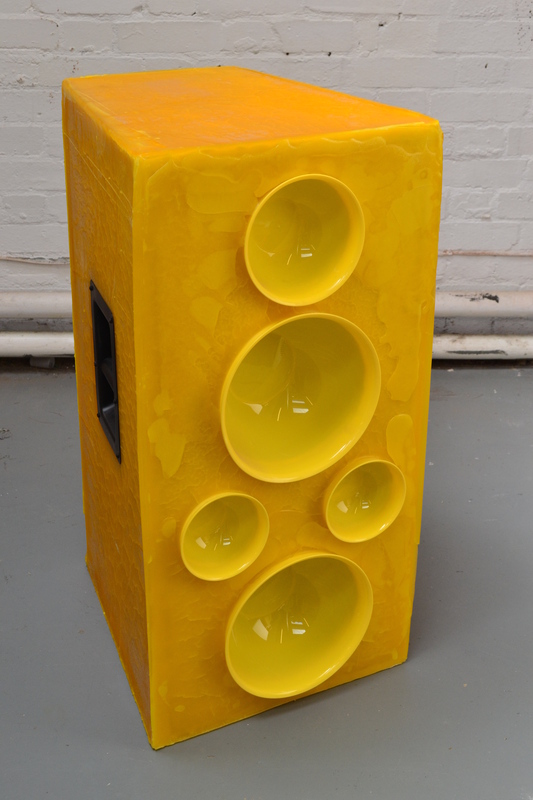 The speakers body having been recast in wax, drawing comparisons between the modern and older ritualistic uses and sublime acoustic techniques.